New Gear Enhancements and Soft Armor Upgrades On The Way! NEW PRODUCT RELEASE The D-Rmor Gear FragTuf 360 Panel! To everybody who contacted me and ordered in 2017, my heartfelt thanks. Though a challenging year, it also saw a lot of great things. 2018 promises to be even better. First off, I will be adding a page for in-stock items. As I catch up on my backlog, and bring new developments out, I will at times have an item or two available for immediate purchase. Check back often, as it will be fluid. Secondly, I have been asked why I am requiring an NDA for my spall guards. In as few words as possible, it is the only way for a small fish like myself to protect my intellectual property. It has come to my attention that last year, my proprietary technology was nearly misappropriated. As a result, I require an NDA for spall guards. I appreciate the inquiries regarding this. Finally, there are several new items coming down the pike! 2017 saw the release of D-Rmor Gear Blades, 2018 will see two or three (possibly more) new additions! Again, I thank everyone for their continued support and kind words of encouragement. It really does make a difference. I am flattered that they acknowledge the efficacy of my design. And encourage folks to review my guards, compare the pricing, the specs, and the fact that I have been doing this for a lot longer than them. Please encourage AR500 to post pictures or video of their guards being tested with UNCOATED PLATES, as I already have. And then choose accordingly. Well, things have not slowed down appreciably, but I am making headway. I will be taking additional names on the wait list, with a catch: I will only be able to add 6 sets per week. I want everyone to get their guards in a timely fashion, while maintaining my extremely high quality standards, and this is the best way to make sure I am not swamped, and keep the build quality up. Thank you all for your continued patience! Due to the incredible current backlog, and the amount of effort required to make two versions of Spall Guards, I am temporarily discontinuing the version 5.1.1 Side Spall Guards to focus on the primary Spall Guards. They will return at some point in the future. Thanks to everyone who has inquired! The backlog has continued to grow, and since I do not want to keep people waiting (and also do not want to put increasing stress on myself), I am suspending new orders until September 30th. I will still be taking names for the waitlist, please email me with the plate profile and number of guards you would like. Thank you all for your patience! For everyone waiting patiently on the backorder list, I wanted to provide a quick update. Due to the current volume of the backlog, I am taking incremental orders. What this means is, if you are interested in ordering, I will give you a projected date for sending in your order. This way, I can maintain both my sanity and the quality of product you expect. Please contact me to get an estimated order date, and thanks for your patience! Due to overwhelming response, I am backlogged 25 days on both types of Spall Guards. I will not be accepting new orders until August 17th. If you would like to be placed on the waiting list, please contact me with your information. Thanks for your patience! 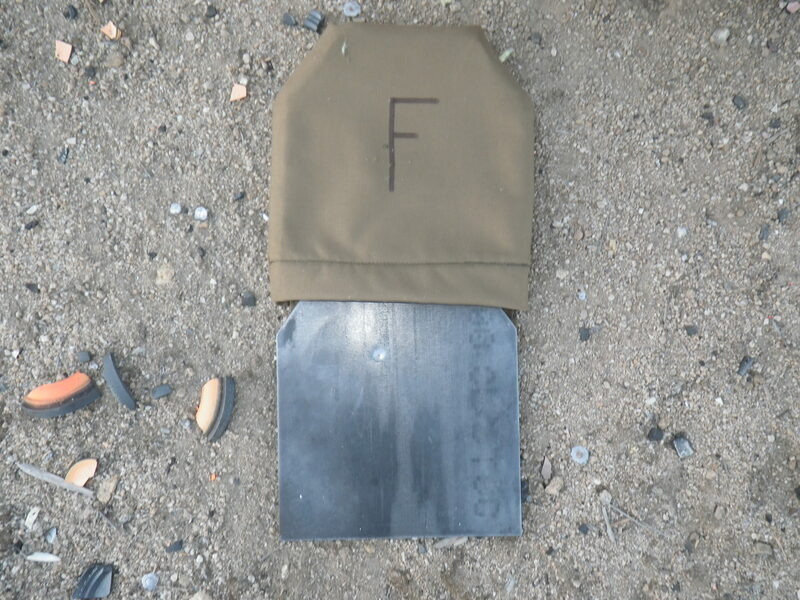 As many of my readers know by now, steel plates offer tremendous advantages (low cost, extreme durability/multiple hits, thin profile), but do suffer from issues with front-face spall (fragmentation caused by defeated rounds) and weight. Most solutions that attempt to address this issue exacerbate the weight, and negate the advantage of a thin profile. D-Rmor Gear spall guards address the issue while remaining lightweight and keeping the thin steel plate profile, while stopping 95-98% of all front face spall. The newest version exhibits improved extreme angle spall capture, as shown by the test below. The plate used was the excellent Maingun Surplus Patriot plate, in flat profile. The plate was placed at a 12 degree angle (to focus the splash pattern more strongly toward the upper edge where the neck/throat would be). This is closer to a worst-case scenario shot, since the residual velocity of the spall is higher. 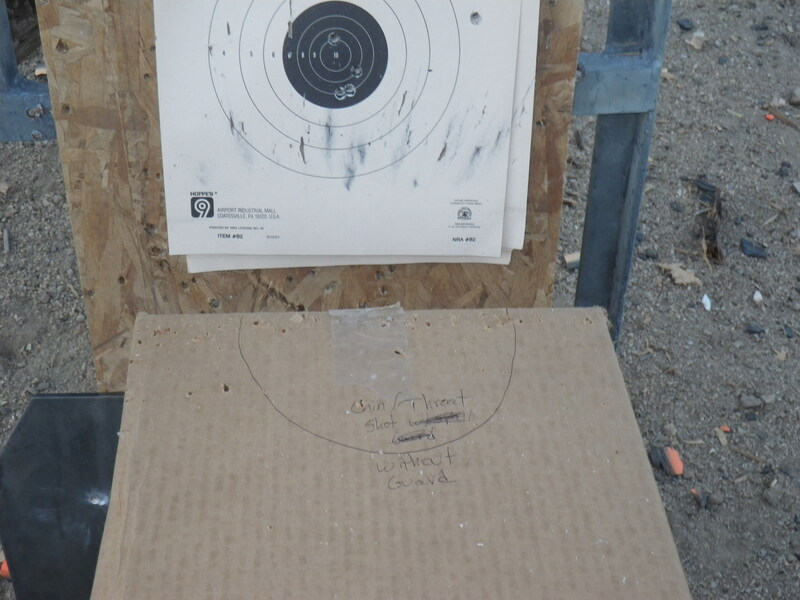 The test rounds were M855, 20″ barrel, 3000 fps @ 10 FEET. 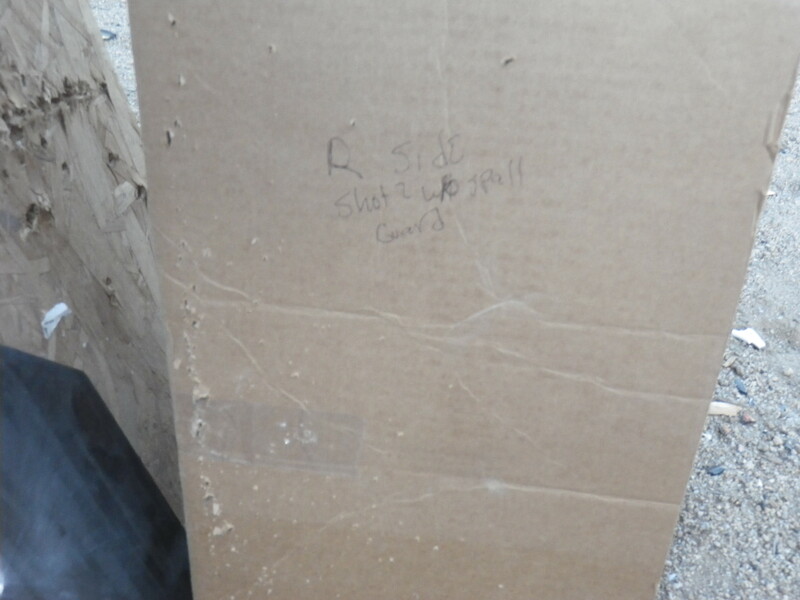 The witness method was a cardboard box. The shoot consisted of two shots, the first with the D-Rmor Gear Version 4.2.3 spall guard installed, the second with the bare plate. 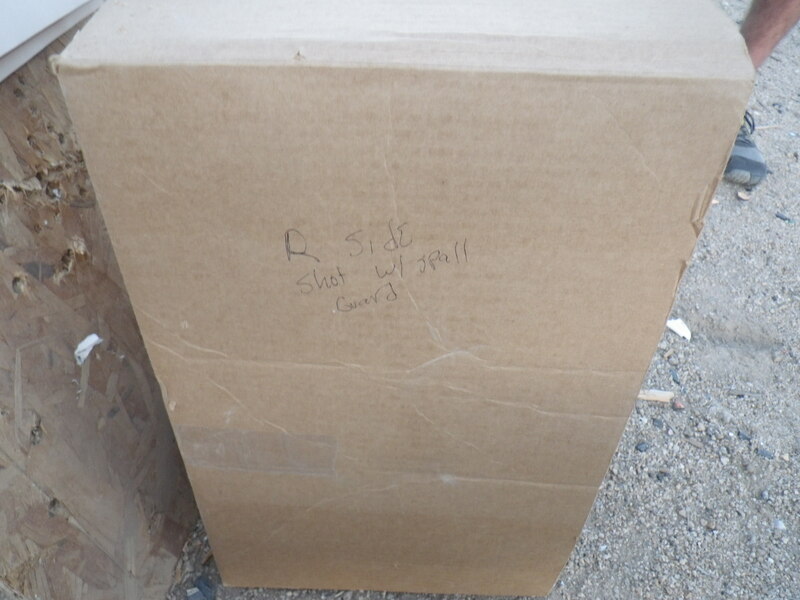 The pictures below show the witness box after the first and second shots for direct comparison purposes. Spall guard and plate mounted in witness material. Seconds after the first round impact. Right side of spall guard after first shot. Top edge of spall guard after first shot. 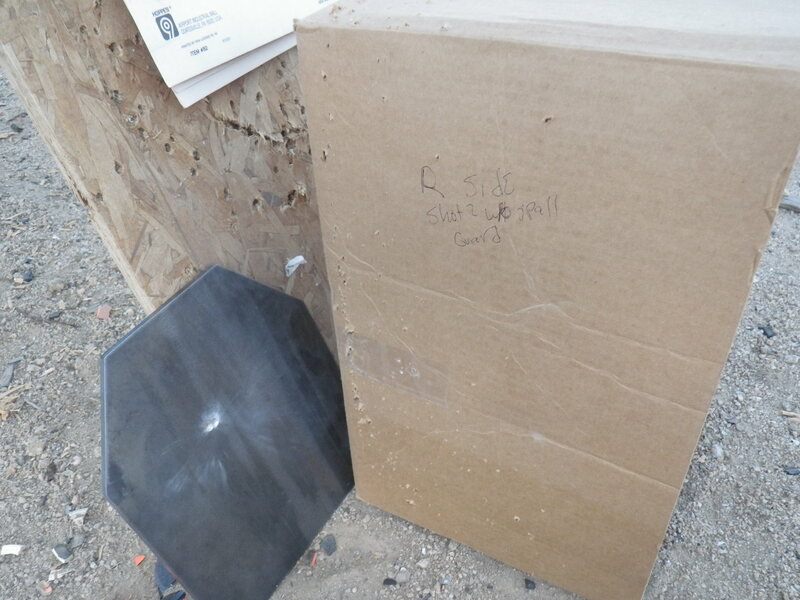 Upper left edge of spall guard after first shot, showing capture of M855 steel core. 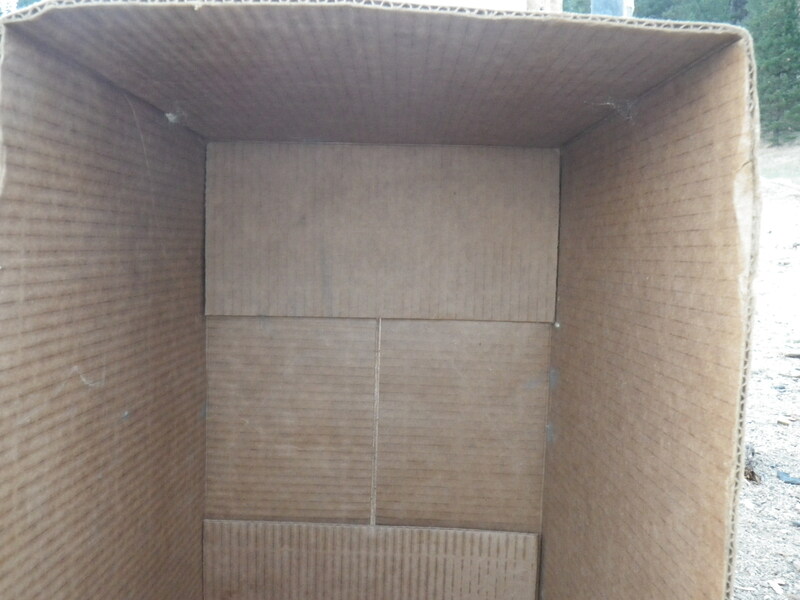 Interior of witness material, first shot, spall guard installed. Note near complete absence of *any* spall whatsoever. Top side witness material, immediately after first shot, SPALL GUARD INSTALLED. Right side witness material, first shot, SPALL GUARD INSTALLED. Left side witness material, first shot, SPALL GUARD INSTALLED. As you can see, the shot with the guard resulted in nearly total capture of all spall, INCLUDING THE STEEL CORE. 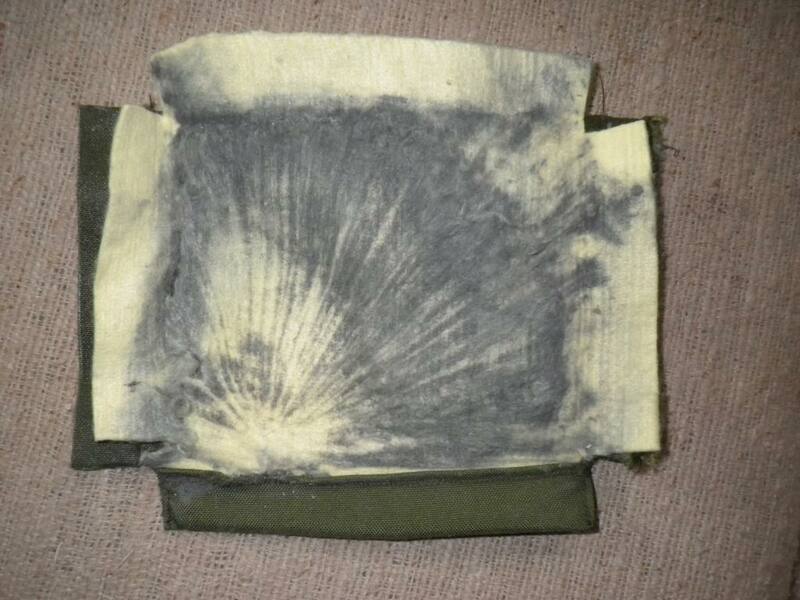 The core was captured by the spall arrest material, as can be seen in the upper left angle of the plate. M855 is particularly nasty as a threat, because the spall is lead, copper, AND the steel core, which tends to remain in one piece. In a plate carrier, none of the spall would have had sufficient energy to escape. 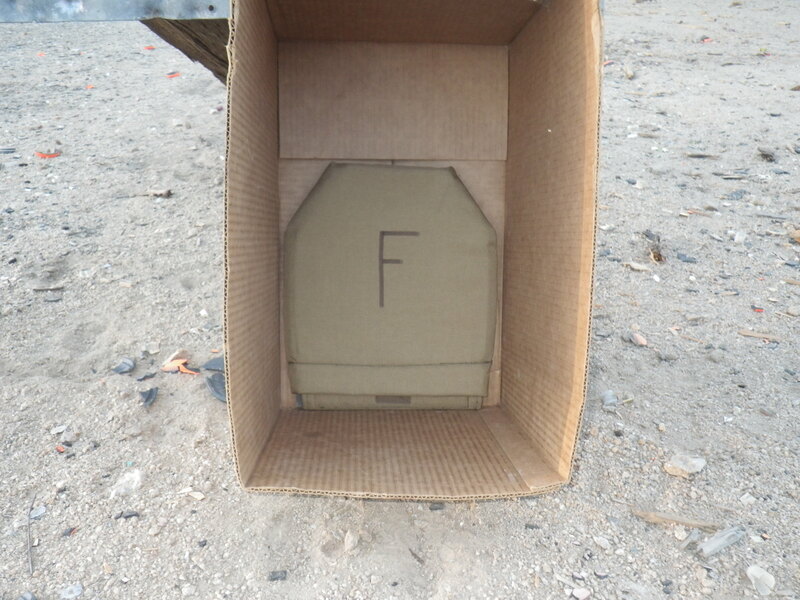 Some things to consider when viewing this test: front face spall will punch through wooden target stands, both sides of steel aerosol cans from several feet away, and deeply indent angle iron. The spall guard caught the overwhelming majority of this extremely energetic frag while being UNDER 5 oz. weight and containing NO metal itself. Top edge, second shot, BARE PLATE NO GUARD INSTALLED- note large amount of spall cutting in chin and throat area. Compare to first pic with guard installed. Right edge of witness material, second shot, BARE PLATE NO GUARD INSTALLED, showing massive spall cutting. 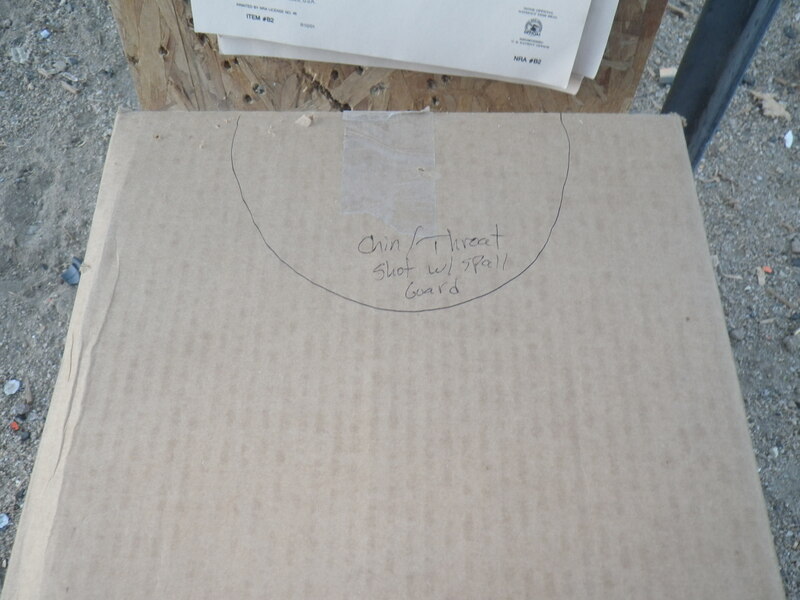 Left side of witness material, second shot, BARE PLATE NO GUARD INSTALLED, showing massive spall cutting. Another picture of top edge, second shot, BARE PLATE NO GUARD INSTALLED, showing high energy of spall fragmentation leaving the box and spall cutting. 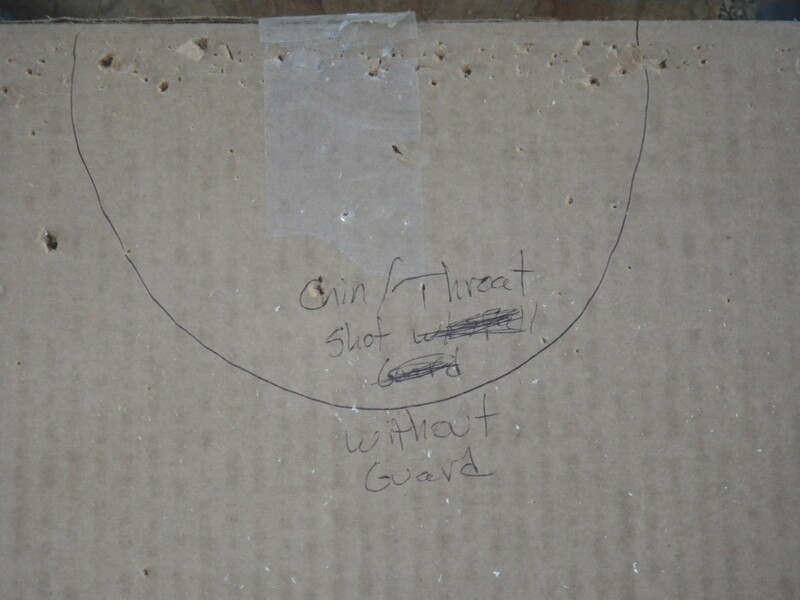 Right side of witness material, NO GUARD INSTALLED, again note sheer volume of fragmentation and spall cutting without the guard to catch it. The second shot (bare plate/no guard), in contrast, shows massive spall/fragmentation. 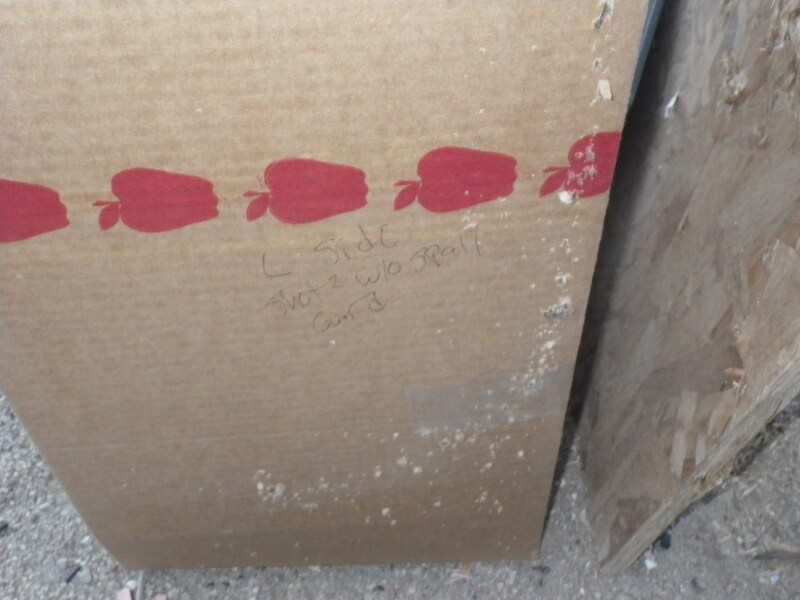 So dense is the pattern that it often looks like a saw or cutting tool was used on the cardboard. The majority exits along the edge of the plate, and as can be seen, would have impacted the neck/throat and arms. Moral of the story? Spall guards are essential when running steel plates. The Maingun plates are quite impressive. 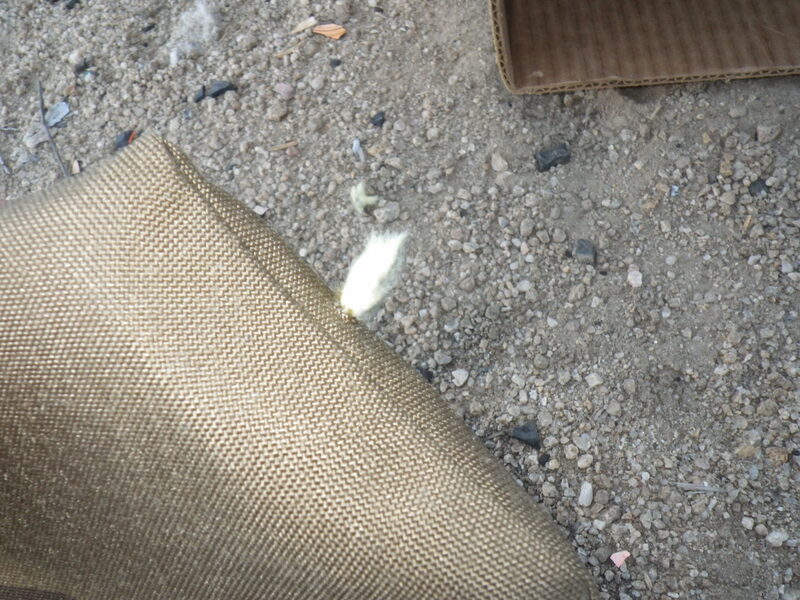 The two M855 rounds impacted almost in the same spot, with only a slight indentation and barely detectable bump on the backside. I will be performing a torture test on this same plate to see how many M855 rounds it can soak up before penetration or cracking, and I have a feeling it will be in the hundreds. Stay tuned for further shoot tests! If you have not checked out Jerking The Trigger, it is well worth your time. D-Rmor Gear Spall Guards were featured this week. Matt does a great job reviewing the latest and greatest gear, tools, and tactics. Careful, you will probably spend hours surfing all the pages back to the beginning! Steel rifle plates have several advantages, especially for certain applications (PSD, concealed). they are the thinnest profile of all rifle plate styles, are generally very inexpensive, do not suffer from fragility issues inherent with ceramic plates, and handle multiple hits extremely well (some plates have been documented with hundreds of rounds while still retaining their protective qualities). 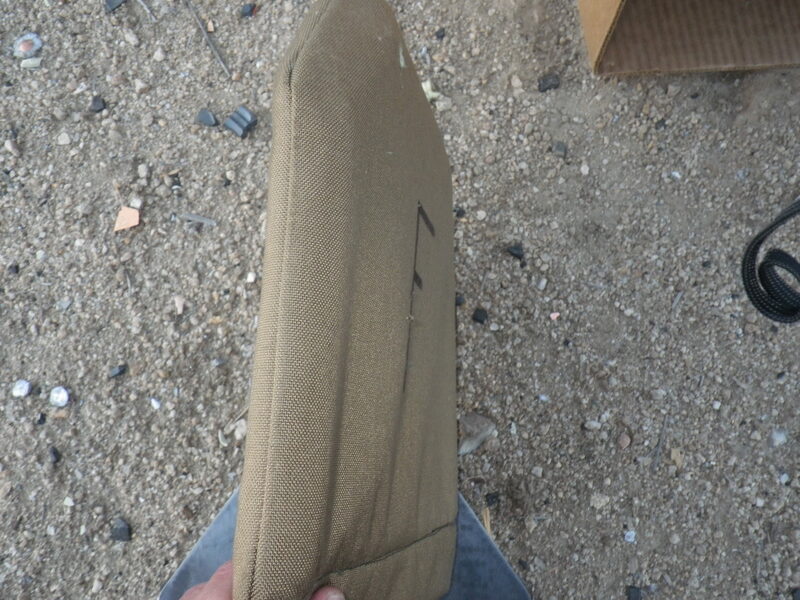 Interior of 6X6 splash guard after M193 3100 fps impact @ 10 feet on AR500 steel side plate. Non penetrating strike. With all these advantages, there are several drawbacks, the largest and most pressing being that of front face spall (also known as splash). Spall refers to any ejecta resulting from an impact event. Rear face spall has been an issue mainly with tanks/AFVs for as long as they have been used. In WWI, British and German tank crews suffered casualties from rounds impacting the armor and kicking off shards of the plates at high velocity. 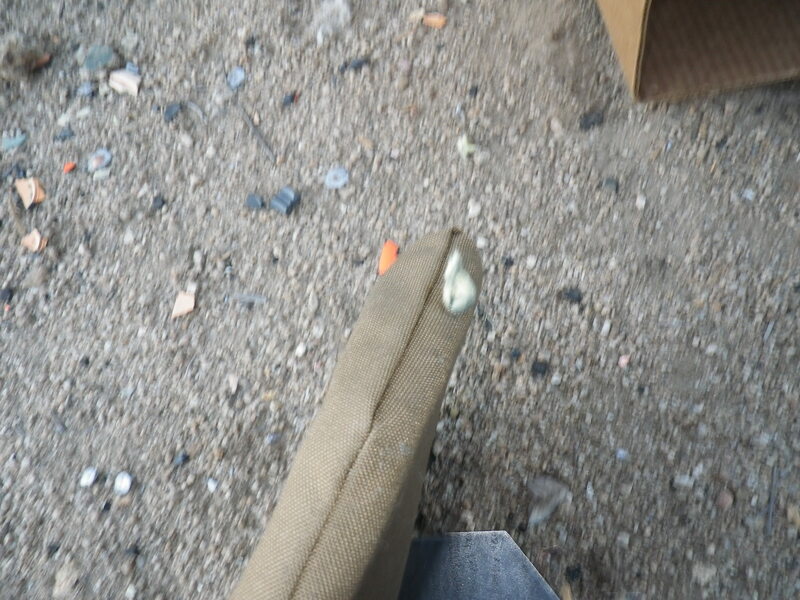 Even though the rounds may not have penetrated, damage was still done. The British took advantage of the principle of spall with their development of the HESH round after WWII. 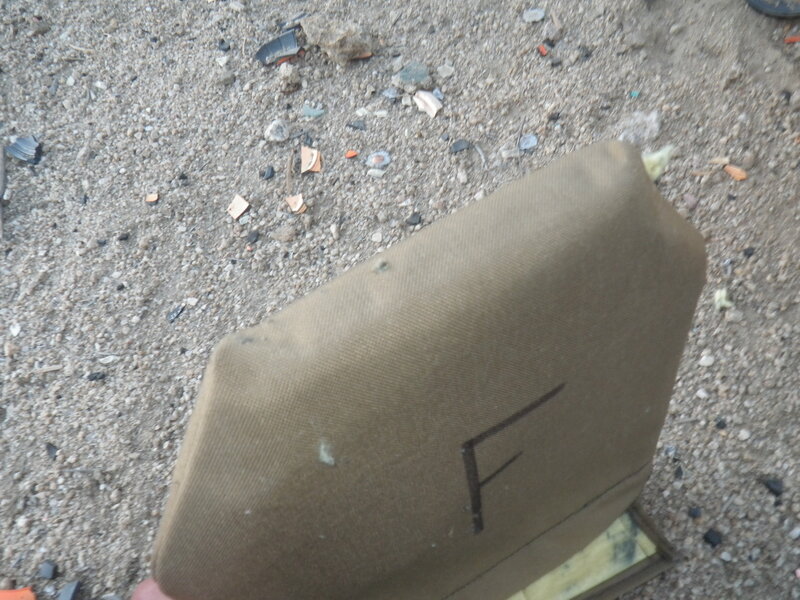 This was an explosive shell with a soft head, which, when it hit the enemy vehicle, exploded on the outside. The shock wave blew large chunks of spall off the interior of the vehicle. Front face spall, or splash, is the result of the projectile disintegrating into a cloud of high velocity fragments. The cloud usually manifests as a primary and secondary conoid of splash, the first being made up of the larger jacket pieces. This usually bounces back at an angle very close to the initial strike. The secondary conoid, which makes up about 80% of the total splash threat, travels primarily along the face of the plate, to exit at close to 90 degrees from the original strike. It is this conoid that presents the greatest threat to life and limb. Because of how steel rifle plates function, this unfortunate property occurs every time a bullet is successfully stopped. Stopping the round is the purpose of the plate, but up until recently, no consideration was given to keeping the face, throat, and extremities safe from the cloud of cutting fragments. Generally, higher velocity rounds produce more spall (the M193 is a more dangerous round for splash than M80 ball, for instance). The core composition will also play a large role in splash/spall. The M855 produces less spall, due to a larger volume of the core being taken up by a mild steel penetrator. The penetrator is fairly easy to trap with spall mitigation technologies. Close range impacts will obviously pose a greater spall/splash risk than longer distance shots. Early solutions (still used today) involved plastic or elastomer coatings (in some cases, the same materials used as truck bed liners). These coatings range in thickness from fractions of a millimeter, to nearly half an inch. While effective (at least in the thicker iterations), the material is removed by each successive hit, and in the thinner versions, the spall mitigation is very limited. The main drawbacks involve the thickness of effective coating depth, which mitigates the main point of steel plates (their thin profile), the fact that the coating is permanently removed (which is difficult or impossible to replace). Coated plates often have an offensive, strong chemical odor as well. Coating steel plates is not a bad rust-preventative, but the thinnest coating is recommended. Other, more recent solutions involve adding metallic components to the plate. While undoubtedly effective at catching splash exiting the sides of the plate, adding MORE metal, MORE weight, and MORE thickness to already heavy plates is not an optimal solution. 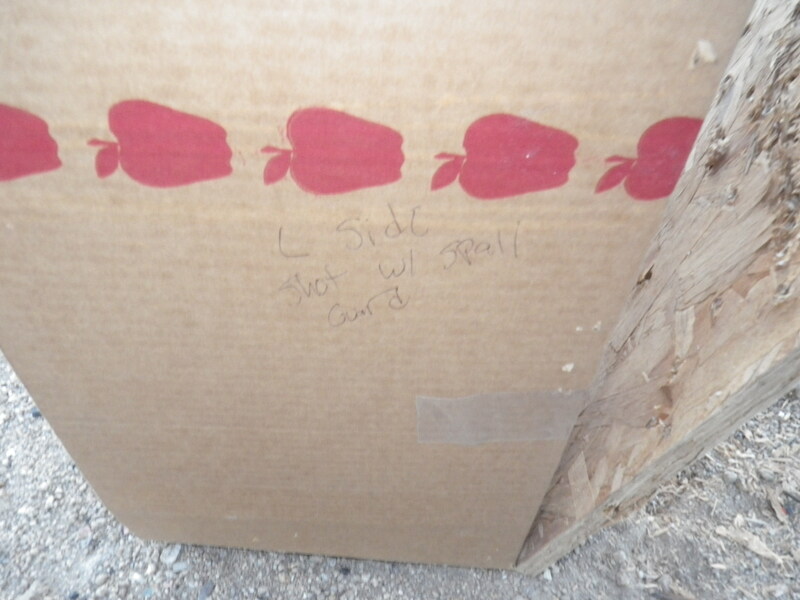 Some users have attempted various DIY “solutions,” which usually include haphazard combinations of duct tape, epoxy, gorilla glue, woven aramid or UHMWPE, or brush-on truck bed liner. These solutions are a poor choice, tending to turn steel plates into a messy, ugly, smelly, and above all, ineffective mess. The plates will still stop the rounds as usual, but the splash mitigation is negligible. Because the attempts do not take into account the dynamic nature of an impact, the strong adhesion will couple the facing materials to the plate, resulting in very quick erosion of the homemade guards. 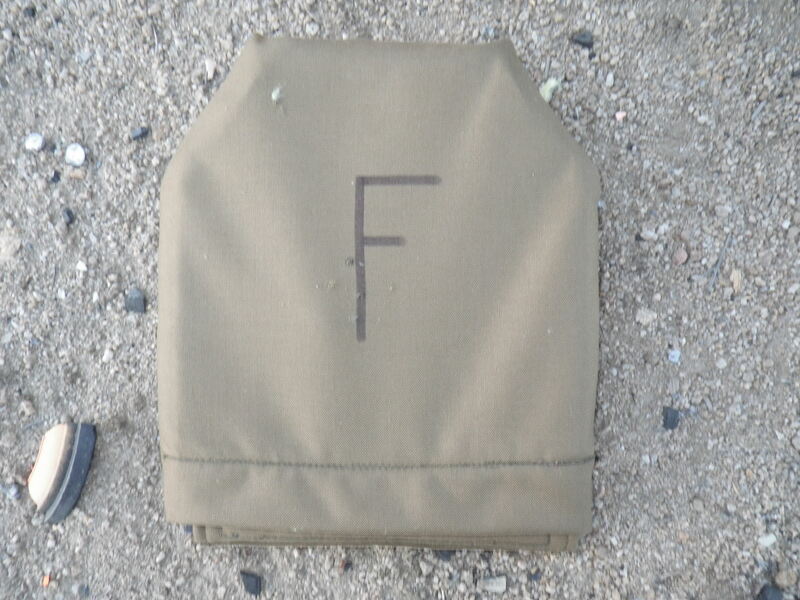 This, combined with poor choice of materials (woven Kevlar fabric, or UHMWPE laminate) guarantees failure. Specially designed slip-on guards utilizing custom engineered/manufactured aramid blend fibers have so far proven to be the best combination of attributes for capturing front face splash/spall. These guards can be removed, swapped between plates, or replaced once used, and are thin, light, and above all, COMFORTABLE. They can be built for ANY steel (or ceramic, for that matter) plate currently extant. Steel plates can be an excellent choice, but it is vital for end users to be aware of potential safety issues. There are several options for mitigating splash, each with their unique benefits and weaknesses. Above all, ensure you are using adequate splash protection if you choose to run steel rifle plates, and keep your face and extremities safe!